Are you thinking of selling your home? You can get a free home evaluation on my site HERE! According to a recent post on realtor.com, there are 8 realizations you will come to in the process of preparing to list and sell your home. 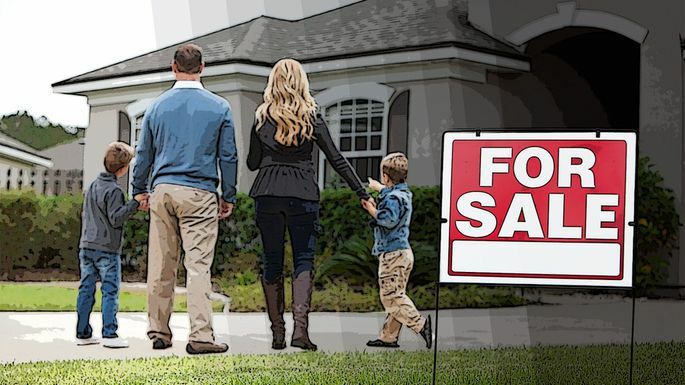 Selling a home is just one of those experiences you've got to go through to truly understand—it's a lot more involved, emotional, and exasperating than you might think. Finding a listing agent you can trust can be tricky, just based on the sheer number of real estate agents that are out there vying for your business. It can be hard to swallow negative criticism of your house from your agent, but this is an inherent part of selling a home. Indeed, you might think that each complaint—no matter how small—is a blow to your design aesthetic, or a knock on how well you’ve maintained the property. But the reality is this info can help you sell your home. Last-minute showing requests are a natural part of the home-selling experience. You could get a phone call from your agent saying that you have just five minutes before a potential buyer arrives. Regrettably, some sellers make the mistake of sticking around the house for showings, but that’s a huge mistake. If you want to give your home maximum exposure, you have to be prepared to step out at a moment’s notice. This also entails keeping your home relatively clean, since you may not have time to tidy up before a buyer shows up. Sadly, no-shows are yet another common experience people have when selling their home. No-shows (or last-minute cancellations) aren’t personal. Usually buyers are shown multiple properties in a day; hence, there’s a good chance they just fall behind and don’t make it to the last one or two showings—or they see a property that they love, so the remainder of that day’s showings are cancelled. The important thing to remember as a home seller: Don’t take no-shows personally. The important thing to remember is this only temporary, and it can make your home sell faster. With all the emotions that accompany selling a house, many sellers feel insulted if they receive a low offer. The take-home lesson: As a seller, you should consider every offer that you receive and, in most cases, at least make a counteroffer. Even if you make only a $5,000 price reduction, you never know how the buyer will respond. Unless you’re in a white-hot seller’s market, it might take a substantial period of time to sell your home—even if it’s priced aggressively. As long as your real estate agent is doing everything he or she can to market your property, do your best to be patient. The right buyer will come along. That being said, if your home sits on the market for more than a month, ask your agent whether you should make a price reduction. Even once you've sold your home, detaching emotionally from it can be tough, especially if you’ve lived in your house for a long time. Odds are every room triggers a memory—Thanksgiving dinners in the dining room, game nights in the family room, birthday parties in the playroom. Still, selling your house means it’s time to let go.